Hobsons has had the honour of working with more than 9,000 high schools across 100 countries over the past 10 years with the mission of improving the advice that students receive, and giving them the best information possible in order that each unique student can make the best postsecondary decision possible. Through this close association with our school partners, we have honed a number of best practices to encourage a culture of career and tertiary education readiness in K-12 schools. In many countries, including Australia, sharing best practice amongst career counsellors has been limited, and the robust tools that have emerged in other markets, like Naviance by Hobsons, have yet to develop or take hold. 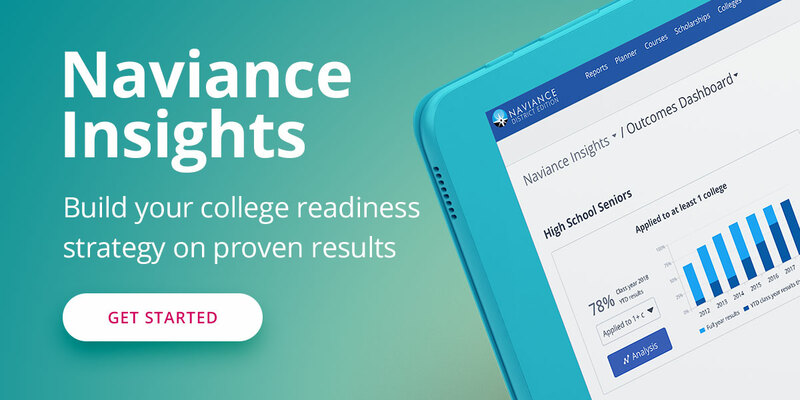 Hobsons is dedicated to getting the best tools to the best counsellors in all countries so we can change student lives for the better, including bringing Naviance to the Australian market. In addition, Hobsons is sponsoring the annual EduTech conference in Brisbane on 30 May – 1 June. At this event, we are pleased to welcome a special guest speaker, Bruce Armes, lead school counsellor at the San Juan Unified School District in Sacramento, Calif. (USA), who will share his experiences in developing a culture of career and tertiary education readiness with secondary school students. We invite you to come listen to Bruce on Monday, 30 May, in the K-12 Ed Leaders Congress - Breakout Seminar 1. 3:10 p.m. – 3:40 p.m. Importantly, this information is not only intended for careers practitioners but will also be targeted for school leadership staff who want to bring about change management needed to make career and tertiary education readiness more successful in our schools. We look forward to welcoming you at EduTech! Please stop by the Hobsons booth (#150) for engaging conversation!